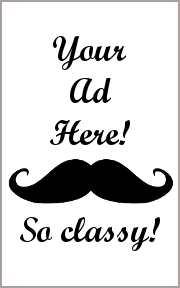 Help keep a hastily built flying dirigible stay afloat for its 10 minute maiden flight! Dr. Filoworth is known as something of an eccentric inventor, but his genius has never been in doubt. What is in doubt is his judgement. His latest creation, the Victoriana, was hastily built and is now being launched. Oh, sure, she’ll fly, but there is a lot that can go wrong. To address this, Dr. Filoworth has hired you and a few others to repair and rebuild when and where needed 1000 feet above the ground in a not-yet-finished dirigible airship. Farns Filoworth’s Dirigible Disaster, by Concrete Canoe Games, is comprised of 1 Victoriana game mat that represents the blue print of all three levels of the dirigible, 1 Tracker mat that keeps track of all the time left in the game and the various disasters that will befall the players, 1 twelve-sided standard die, 1 six-sided standard die, 4 Event die (1 green, 1 red, 1 blue, and 1 yellow), 2 Track Marker rings, 6 Player pawns, 10 Steam Leak chits (blue), 20 Passenger chits (green), 10 Bullet Hole chits (red), 12 Cog chits (yellow), and 1 sixty-second sand timer. It is also worth mentioning that this game finished in the top ten of The Game Crafter’s Steampunk Board Game Design Challenge. Note: Prior to your first game play, you will be required to apply stickers to the four dice. This isn’t very complicated, but will take you about 15 minutes. Plan your first game accordingly. To set up the game, first make sure you have a playing area suitable to play it. This is a game of speed and dexterity, as well as teamwork. If a player cannot easily reach the middle of the playing area, your game experience is going to be painful. Second, place the game sheet that represents the Victoriana in the middle of the playing area. Again, make sure that all players can reach the middle of the playing area with ease. Third, place the Tracker mat off to one side and clear of the Victoriana game mat. One player should be assigned to keep the Tracker mat updated. Fourth, take the two Tracker Marker rings and place one on the 100% mark on the steam pressure gauge illustration on the Tracker mat and the other Tracker Marker ring on Minute 1. Fifth, place the chits into four different piles and next to the Tracker mat, along with the sand timer and all the dice. Sixth, have every player select a Player pawn and place it in room 7 on the Victoriana game mat. That’s it for game set up. Time to keep this airship afloat! The game is played in 10 rounds with each player taking as many turns as possible, in turn order sequence, that can be accomplished in ten 1 minute intervals. Speed, communication, teamwork, dexterity, and hand/eye coordination are all necessary to play, as is a cool head, logical thinking, and balancing risk versus reward. All of which, again, must be done in a minute. Get ready to sweat, curse, and cheer as the dirigible flies or falls in real-time. Each round is comprised of 3 steps. They are summarized here. The first step of every round seeds the Victoriana with events and sets the stage in which the players will need to organize their efforts to address the issues that plague the airship. These include broken cogs, busted steam pipes, bullet holes (from duels), and passengers who are always getting in the way and need to be escorted back to areas of safety. This is done by one player rolling all four Event dice. The results of each die will have a number value. This number value determines the number of events and chits that will be placed in the Victoriana. Once rolled the Victoriana is seeded with events in a very specific order. 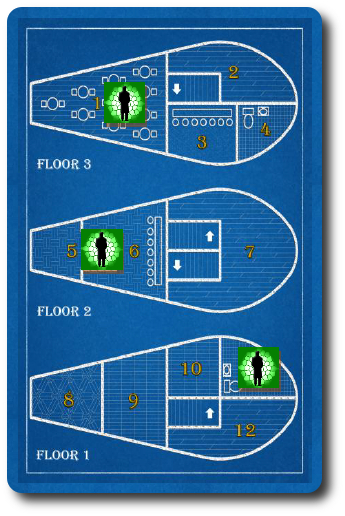 Roll the twelve-sided die for every Passenger (green) event – the number rolled represents the room the Passenger chit is placed. Roll the twelve-sided die for every Cog (yellow) event – the number rolled represents the room the Cog chit is placed. If a Cog chit is placed in a room where another Cog chit is already located, a Cog chit is removed from the pile next to the Tracker mat and unavailable for the duration of the game. Roll the twelve-sided die for every Duel (red) event – the number rolled represents the room the Bullet Hole chit is placed. If a Passenger chit is in the same room, remove 1 Passenger for every 1 Bullet Hole placed this round. Removed Passenger chits are placed on the Tracker mat’s “Injured Passengers” section. Roll the twelve-sided die for every Steam Pipe Burst (blue) event – the number rolled represents the room the Steam Pipe chit is placed. If a Passenger chit is in the same room, remove 1 Passenger for every 1 Steam Pipe placed this round. Removed Passenger chits are is placed on the Tracker mat’s “Injured Passengers” section. The Event die are then placed with their rolled values on their designated matching colored spots on the Tracker mat. For every Steam Pipe chit that is on the map, the steam pressure gauge value is reduced by 10%. For example, if last round there were 4 Steam Pipe chits that were not removed and 2 new Steam Pipe chits were placed this round, the Steam Pressure Gauge value would be reduced by 60%! IMPORTANT! As the game progresses, more and more chits will be placed on the Victoriana. Passengers are only injured when a Steam Pipe Burst and Duel event are placed in the same room as them. If a Passenger chit is placed in a room that already has a Steam Pipe and Bullet Hole chit, they are not injured. Passengers are smart enough to avoid existing dangers. Now the fun begins! All the players have 1 minute (yes, 60 real-time seconds) to rush about the dirigible and address as many of the events as possible. 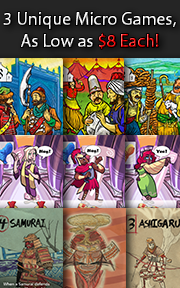 If they are successful, the chit is removed from the Victoriana game mat. If they are not, there the chit will remain and increase the probability of losing the game. Starting with the first player and going clockwise in turn order, each player will be allowed to do one action on their turn. These actions are summarized here. Once the player is done with their one action, be it successful or not, the next player takes their action as quickly as possible. This continues until the sand timer runs out and ends the round. It is perfectly possible that one or more players will have one or more actions during the round. Move 1 Space: Each room is considered a space and the Player pawn can travel to any adjacent space through the solid walls. Diagonal movement is not allowed. Stairs allow for movement from one floor to another. Entertain 1 Passenger: If the Player’s pawn is located in the same room as a Passenger chit, they can attempt to entertain them and get them moving back to safety. This is done by shouting “Passenger” and rolling the six-sided die. If the rolled value is less than or equal to the current green Passenger Event die’s value, the Passenger chit is removed and placed back in the Passenger chit pile. Repair 1 Cog: If the Player’s pawn is located in the same room as a Cog chit, they can attempt to fix the broken cog. This is done by shouting “Cog” and rolling the six-sided die. If the rolled value is less than or equal to the current yellow Cog Event die’s value, the Cog chit is removed and placed back in the Cog chit pile. Repair 1 Bullet Hole: If the Player’s pawn is located in the same room as a Bullet Hole chit, they can attempt to patch the hole. This is done by shouting “Bullet Hole” and rolling the six-sided die. If the rolled value is less than or equal to the current red Duel Event die’s value, the Bullet Hole chit is removed and placed back in the Bullet Hole chit pile. Repair 1 Steam Leak: If the Player’s pawn is located in the same room as a Steam Pipe chit, they can attempt to shutoff the pipe’s valve. This is done by shouting “Steam Leak” and rolling the six-sided die. If the rolled value is less than or equal to the current blue Steam Pipe Burst Event die’s value, the Steam Pipe chit is removed and placed back in the Steam Pipe chit pile. Increase Steam Pressure: If the Player’s pawn is located in room 9, they can increase the steam pressure to keep the dirigible afloat. This is done by shouting “Pressure” and moving the Tracker Marker ring 20% towards 100%. Note that only one chit can be removed per action and a player is only allowed one action on their turn. Once the player is done with their action, they pass the six-sided die to the next player which indicates that they can now take their turn. After the sand timer has run out, the players can take a moment to sit back and relax. Their good work and due diligence to keep the Victoriana running will now be reviewed. The following steps are taken. Check for in-game automatic loss conditions. The Tracker Marker ring for the Minutes is increased by 1. Trigger the endgame if end of round 10 or continue to next round. The next round begins with step 1 above starting with the player who would have gone next in the last round’s turn order. For example, if player 3 was the last player to have an action during the last round, player 4 would start the next round. If at anytime during the game the following conditions are met, the player’s automatically lose the game. But the in-game automatic loss conditions represents the worst case scenario. Let’s remain optimistic and hope that the player’s have kept the dirigible afloat for the entire 10 minute flight. At the end of round 10, the endgame is triggered and the Victoriana is brought in for a landing. All the Event die are rolled except the Passenger Event die. Chits are placed as normal. Again, the player’s check to see if any of the in-game automatic loss conditions have been met. If they have, the players have lost. If not, the player’s have won and the Victoriana is brought into the dock safe, but hardly sound. Either way, the Victoriana’s maiden flight is now over. PHEW! 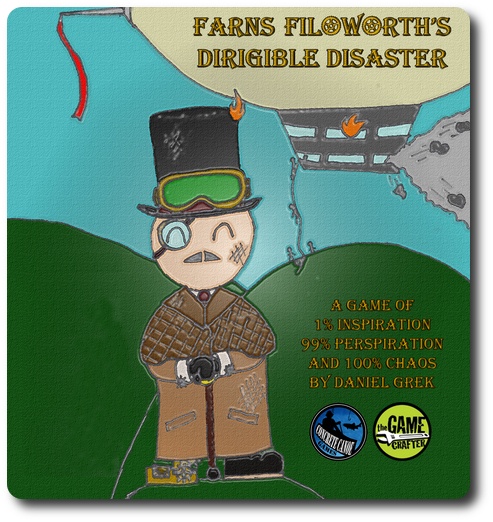 To learn more about Farns Filoworth’s Dirigible Disasters and read the full rules, visit the game’s web site on the Game Crafter. 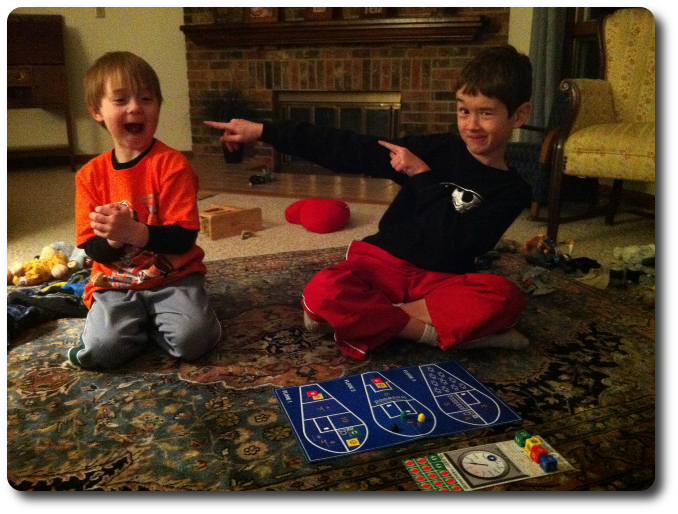 My little geeks continue to be fans of the cooperative games. They very much dislike losing (we’re working on that) and jump at any chance to “team up” with an adult. Mostly because they think they’ll win, but also because it’s a lot of fun to play as a team. This game allows for true real-time cooperative game play that is sure to keep them engaged and cause them to get stressed. Heck, I bet adults are going to get stressed! Teaching how to play the game is simple. I can demonstrate and go into great detail about what the game is about to all the players without issue. And I am sure they will retain it and say they have little to no questions. This is not a difficult game, after all. But when the player is forced to think fast, logic and sometimes reason go out the window. I imagine that there will be a number of players who will forget to call out what they are doing or will mess up an action (for example, moving twice or diagonal). I’m going to be lenient on this. The game is about working together to fight fires, not memorizing keywords that must be shouted for every action. Extra points to the players who remember it, though, and no such leniency for the Gamer Geeks! For the Child Geeks, I think this game will please, but their level of enjoyment and ultimate endorsement will hinge on their perceived level of pain the game causes. If they feel they are being pushed, bullied, or forced to do things by the group they are playing with (tempers do tend to flare, after all), this game will fail. For the Parent Geeks, I think this game is going to be a winner if it allows them to keep up but not run away with a victory. The random die roles for seeding disasters all but guarantees that. For the Gamer Geeks? I predict a win and full endorsement, but they will focus on not only the game play, but the ability to win the game. If the game requires the players to think, to adjust, to strategize, and to truly work together, they’ll be for it. If it is just a fire drill that causes everyone to run around, they’ll give it a pass, especially if it feels like luck is too prevalent throughout. And so, after teaching the game to my little geeks (both my 5 and 8-year-old), I was ready to launch to good dirigible airship Victoriana! As I reset the Tracker for our first game, I asked them both what they thought of Farns Filoworth’s Dirigible Disaster so far. Looks like the crew are ready to go! Let’s see if this game flies or crashes into a big fiery mess of hot tempers and disappointment. The Child Geeks very much enjoyed this game, but their level of enjoyment was based on their level of maturity and emotional coping skills. For example, my 5-year-old did very well in rounds 1 and 2, but very quickly became more and more bogged down with analysis paralysis and his perceived level of effectiveness on the game. His confidence waned and I all but had to roll the dice for him. For 5-year-olds, this game is not going to be much fun. For my 8-year-old, however, he had a blast and was moving his Player pawn as quickly as I was, shouted at me when I missed a chance to correct an issue, and high-fived all the players when things were going well. Even when things were not going our way, he kept up, stayed focused, and had a blast. Endorsed and approved by the Child Geeks for fun, excitement, and easy learning curve with a lot of rememberable game moments. Early in the game and everyone is having a great time! The Parent Geeks didn’t know what to make of the game when it was presented to them. In fact, it took them several rounds to get their act together. At first, they just did their own thing. This resulted in a few actions where two players were actually focused on correcting the same issue. Hilarity and scornful looks ensued. After a bit, they got into the rhythm and worked together like a team. The Parent Geeks really liked how each player was capable of fixing everything on the ship, if given enough time. They were not fans of the “real-time” game rounds, but after the first game, that’s all they could talk about. Having only a minute to do anything as a group really puts focus on teamwork, communication, and more than anything else, patience. Players didn’t do things right, could have done things better, and there was a lot of “should have /could have” discussions. All this hindsight, however, only lead the Parent Geeks to want to play the game again. Which they did and loved it. The game was endorsed by the Parent Geeks for being playable by a wide age range, quick to play, being a lot of fun, and easy to get into. The Gamer Geeks were fans almost from the start. This game requires the players to have their act together, like Space Alert, but without the unfortunate ability to blow up the ship. The Gamer Geeks also enjoyed how quickly the game moved, like Escape: The Curse of the Temple, but not from start to finish. The sand timer kept the rounds quick and suspenseful, but there was always time between rounds for the players to catch their breath, discuss their next move, and then hope that they planned well. This constant shift between “GO! GO! GO!” and the brief break between rounds were well-balanced, never upsetting the game’s overall level of excitement or pacing. The end result was a game that was challenging, entertaining, and had seemingly endless replay appeal, leaving the Gamer Geeks little choice but to approve it. This game is not for the weak or the meek, but it most certainly can be played by everyone. The games complexity comes from keeping your group focused and tackling the issues as quickly as possible. Players must be able to think fast and act faster. If something doesn’t go according to plan, they best have a Plan B, C, D, E, and a loosely formed Plan F. Each player is important and every player is equal. This is not a game where one player has any advantage. Everyone is equal and equally ill prepared. Luck, timing, and logical thinking will help win the game, but not guarantee victory. The roll of the dice still determines if the player’s attempt was successful or not. Of course, experienced players will immediately recognize that the Event die value not only populates the dirigible with problems, but also lets the savvy player know which ones are going to be easier to fix. Thus, players can reduce their level of risk of failure by focusing on what can be fixed with a higher chance of success versus what might be the closest. That adds a neat twist to the game and some interesting choices to make as a group. I very much like Farns Filoworth’s Dirigible Disaster and the game serves as an excellent reminder why we, game playing enthusiasts, should keep a close eye on the independent game designers and publishers. While they might not have access to large publishing houses or the ability to make their games widely available, they are granted a tremendous amount of creative freedom. Print on demand companies like the Game Crafter have made it possible for unique and intriguing games to be shared with a larger audience. This game is most certainly worth any player’s time, especially if they enjoy cooperative games that challenge a group’s ability to communicate and keep their cool. But expect a lot of swearing. Oh, goodness, yes. Colorful language will abound, my friends. Tagged Child Geek Approved, Cooperative Games, Father Geek Approved, Gamer Geek Approved, Parent Geek Approved, Racing Games, Real-Time Games. Bookmark the permalink.